It is with great sadness that we have to let you know that Helen North passed away on the 22nd December 2017 after a battle with cancer. 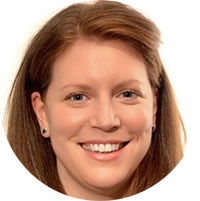 Helen was Career Development Director on the AWUK Board and had become a great friend to many of us personally, as well as a passionate supporter of the organisation. 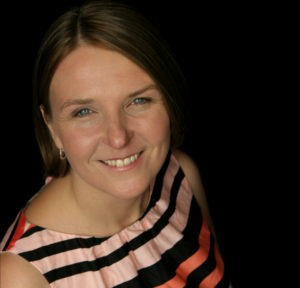 She spent her early career at Skillset, working with Kate O’Connor, pioneering training programmes across the Creative industries. Her determination to drive for gender equality led her to AWUK where she became one of the original board members in 2014 where her voice was always a vital, caring and direct contribution to any discussion. Helen was the architect and driving force behind our Achieve Programme, which focuses on career development for women in VFX and Animation, and we are incredibly proud to be able to continue her work this year with the launch of our 2018 programme, which we have renamed in her memory The Helen North Achieve Programme. Helen leaves her husband Matt and two children Coral and Seren. The family have created a charity page for Helen and ask that anyone who would like to, make a small donation to one of their designated charities. Please leave any messages in the comment section of this blog post, so that they can be read by others and shared with Helen’s daughters, Coral and Seren. Hey – What’s going on? I started writing this note a few weeks ago, just after the Escape studios event…but since then so much has changed! While I don’t want the actions of one man to overshadow what should be a celebratory message, I can’t go very far without addressing the prevalent issue of sexual harassment in the workplace. It was the reason I set up Animated Women UK and is the reason I will continue to comment on the topic as there is such a great need for better resources and representation for women. Online; hashtags have been used by many brave women. What next? I’d like to nominate some of the men I’ve met in my career for a ‘Boys Club’ award ceremony; perpetrators of this crime can be named and shamed…but what will stop them committing such acts in the future? Perhaps a ‘Boys Club 2.0’ whereby men stand up to other men they’ve noticed in their industry by confronting their behaviour, thus taking the responsibility solely off of women’s shoulders…petitions, protests; any other ideas? Let’s not forget that misogyny can be committed by women or self-inflicted. Victim blaming, secrecy and gossip about other women are all behaviours that come under the patriarchal veil of this behaviour. 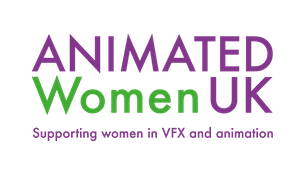 Represent over 1,250 newsletter subscribers – that’s around 25% of all women working in animation and VFX in the UK! With the help of Louise Hussey and the rest of the AWUK board and volunteers we have made huge inroads into raising the profiles of women in our industry, improving working networks, providing mentoring, showcasing women’s work and creating new research. A huge thanks goes out to the women who without their support on ‘day 1’ none of this would have been possible: Alison Warner, Jocelyn Stevenson, Kate O’Connor and Helen Brunsdon. We continue to offer to work in collaboration with the BFI (see their new Diversity Standards here), and various other UK events, festivals and conferences to achieve our aims. Get in touch if you haven’t yet! As Lisa Simpson once said “Lord Buddha, I know I’m not supposed to want stuff, but come on!” Gender equality shouldn’t be a feminist utopian ideal; it’s a basic human right, but one that we as women are continually fighting to have recognised. In order to create real change, things like positive discrimination policies, further research and start-up IP and business funding for women is essential. Governments must also find new ways to value women’s needs and contributions, then take them seriously. Perhaps if a panel ends up being all-male (a “manel”) one man can give-up his place to a woman expert he knows. I couldn’t be prouder of what we’ve accomplished though; starting AWUK has been an epic task and one of the hardest things I’ve done. My personal policies have improved over the years – rather than striving for perfection in my work, I aim to be “good enough” (i.e. as good as any man) and to try not to judge other women too harshly – being compassionate with others and myself. I started Animated Women UK because I was angry, but I used my anger to fuel creative action and produce positive change. It starts with trusting yourself; if you can do that you can trust others…then you can make decisions, and some of those decisions might even involve an element of risk! That being said, I find it difficult to find the kind of work that is well paid, stable, encourages female characters/empowerment in animation and supports women’s day-to-day lives. I don’t want to end up another female statistic; having to leave the industry at 35 (un-married, no kids) because I can’t find the work I want. I’m too afraid to ask for investment in my own projects, yet too ambitious to want to spend another 10 years ‘working my way up’ to a position where I get to choose projects. Do I need to forego stability in exchange for creative freedom? Time will tell. Never before have women been so educated and connected – we are a global force to be reckoned with. Yet as women in the public eye we deal with so many external negative forces that becoming one remains unappealing for many; our fears, insecurities and self-doubts are encouraged instead. See Mary Beard’s ‘The Public Voice of Women’. This in turn creates circumstances ripe for in-fighting, bullying, separation and isolation…thus keeping us quiet. True collaboration is about sharing power, decision-making, authority and responsibility. There is an unlimited supply of power for women who choose to create it. There’s a window for change to happen quickly and efficiently. How we react to that is up to us. There’s great stuff happening all around the world and hopefully the momentum will continue. On that note, Animated Women UK would not exist without thousands of hours of support from our advisors, board members and volunteers. If you would like to get involved please contact us! Join us! Become a member of AWUK. Early this year, we had the great opportunity to collaborate with The University of Arts in Philadelphia (https://uarts.edu). John Sepentelli, lecturer at UArts, was interested in creating a brief for his students to animate the AWUK logo. We loved the idea, and were interested to see how the students would portray AWUK values through their animations. After a few months, we received some lovely animations and caught up with the creators of our favourites to ask them how they’d come up with and realised their ideas. What drew you to study animation? My whole life I only ever drew as realistically as I could with pencil and coloured pencil. It wasn’t until mid-high school that I realized my interest in animation. Looking back, I can see that it was always something I wanted, I just hadn’t figured it out yet. I have always had a strong love of cartoons and animated films, and now I want to be a part of them or make my own! I have also always loved writing and that goes hand in hand with animation. Could you tell us about how you tackled the brief and the process for creating your piece? For my piece I really wanted to do something that was fun, flowy, and full of transformations. I also love camera movement in animation and wanted to explore that. What is the message you aimed to convey with your animation? I am all about inclusiveness and diversity. I really aim to include all sorts of body types, race, gender, sexualities, and disabilities wherever and whenever I can in my work. With this piece I tried to make each woman that appears look different in race and body type. And finally, what would you like to go on to do after your studies? After graduating I would love to work on a 2D animated show, maybe as a storyboarder. It’s my dream to work on a show for Cartoon Network, but I’m going to make my own work for a little while (I am thinking of starting a webcomic) to improve my skills, while hopefully working for an animation company or interning somewhere. I have been drawing ever since I could hold a crayon and always had the intention of being a professional artist, but I’m a recent convert to animation as a profession. Like a lot of kids in the late 90’s to early 2000s, I grew up on a vast diet of animation – far too many to properly list. To that end, I always had the ambition of becoming an animator right up until my senior year of high school when I conceded that, while I was a decent if inexperienced artist, I didn’t have what it took to be an animator. Little did I know that community college would put me down that path again when I saw a poster for an animation class. Surprisingly, I enjoyed it quite a bit! Not just the result, but the process. So my progress as an artist became inexorably tied to my progress as an animator, which lead me to UArts and my continued pursuit of animation as a career. During the initial storyboard process I initially thought about making it like a Road Runner cartoon, where the cartoon character just met a very comical fate in a hole in the ground of a vast canyon by an unseen force. My supervisor convinced me to make it more hopeful and tied to AWUK’s message of gender equality, which is where the superheroine came from. The whole process took about three months from conception to completion. I wanted to make the complex camera movements that I was attempting to be clear and concise from the get go, carefully planning the movements in the animatic before using it as the basis of the finished film. Rough animation was a two part process, animating the characters and the background on separate layers. Cleanup and color were the last aspects of of the film to be completed, being finally finished around the beginning of August. It’s honestly pretty literal. The cartoon character, who is characteristically classical in design, gets saved by the AWUK superheroine, who represents the future of animation and women’s role in that future. Women are the future of animation. Eventually I want to get work as both an animator and a storyboard artist. I definitely have strengths as both an animator and a storyteller and they balance each other out. I’ve always loved animation and I’ve been drawing since I could hold a crayon. I spent pretty much every day growing up glued to the TV watching cartoons. I remember one day someone on Nickelodeon explaining how animation works by giving a demonstration of “the bouncing ball” and then encouraging us kids at home to try it out ourselves on post it notes. After that I did a series of little stick figure animations on post-its for my friends and I remember how cool it felt to be able to make them laugh with my drawings. Once I took my first animation class before college I was hooked. I realized that even though animating was really hard and time consuming I actually loved every minute of it and I was really excited about being able to bring all the characters and ideas in my head to life. After we found out what we were doing for this project I did a thumbnail of my idea right away and then went straight into TV Paint to get the major poses down. From there on it was all in-betweening and coloring. I mostly just wanted to show a woman in her creative process. Animation is hard and coming up with ideas can be frustrating. I like showing that because I think it’s great that despite that, we keep going and we keep making art. It would be great if I could have my own animated series one day that had some kind of lasting impact on people. I really love to make people laugh but I also love cartoons that have multifaceted characters and shows that discuss important topics to kids. At the same time I also really enjoy animations that are aimed at adults so I think I’ll be happy as long as I can work on animation that I can be proud of. As a kid, I use to love watching Disney movies with strong women. I believe what drew me in most was when I was watching Mulan and they showed the extra scenes where they would show us the rough animations. As soon as I saw that, it was a bit of a spark for me. I wanted to be a part of creating strong, smart, powerful women and I just remember thinking, “I CAN MAKE MY DRAWINGS MOVE? !” As I got older, I realized that I wanted to make a difference with my animations, I hope I can initiate a spark in someone else or make someone smile at the very least. I’ve had struggles throughout my life between identity, mental anguish, staying positive, and so on and so forth. I hope to create my animations in a way that I can let people know they aren’t alone in their struggles and that it does get better. Animation is powerful and I enjoy being part of this community. At my current status, I am trying to learn as much as I can when it comes to physically animating as well as learning how to create a coherent story or message in my pieces. I had to do a lot of research on how the body moves when one belly dances, and mostly I had to get up and belly dance myself which was pretty funny. I enjoyed the process of learning body movement. I believe that animation is so fulfilling because there are times where once you get the hang of it the animation flows through your pencil almost by instinct. We are celebrating women of animation and I enjoyed every part of it. I am an Arabian and Italian woman. Growing up was a bit tough, especially during 9/11. I just remember being in kindergarten and not being allowed to say my last name – everyone just called me Angel K. When I heard about this opportunity to make an animation celebrating women, I really wanted to tackle incorporating some of my culture so I decided on belly dancing. Being sheltered and almost scared of my culture growing up, I did not learn much, but I always held onto the time my aunts taught me how to belly dance. It was our way of celebrating our culture and us as women – I had a lot of fun during those times. After my studies, my goal is to be able to work in an animation studio and be apart of the character designs and hopefully story telling/storyboarding or even the animating itself. I know it will be a lot of work, but I hope to create animations that speak to people emotionally, mentally and spiritually. Again, thank you for this opportunity. AWUK would like to take this opportunity to thank all the students that participated and UArts for reaching to us and supporting the work we do! 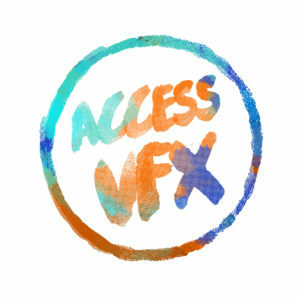 Access: VFX is a VFX Industry movement striving for better inclusion and increased diversity in the creative sector. 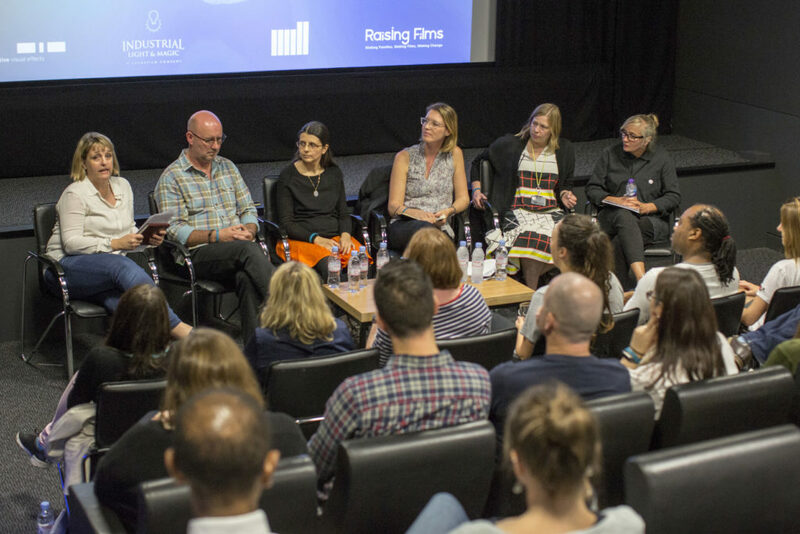 ACCESS:VFX got going with a week of talks, screenings, workshops and panel discussions to coincide with National Inclusion Week in the UK. We’ve summarised a few of our favourite sessions for you below. Isobel Stenhouse, production supervisor at Double Negative, gave a heartfelt talk on mental health in the animation and VFX industries. Drawing from her own experiences managing teams in these high pressured environments, she spoke about the importance of recognising when colleagues may be having problems and the working conditions that can lead to them. 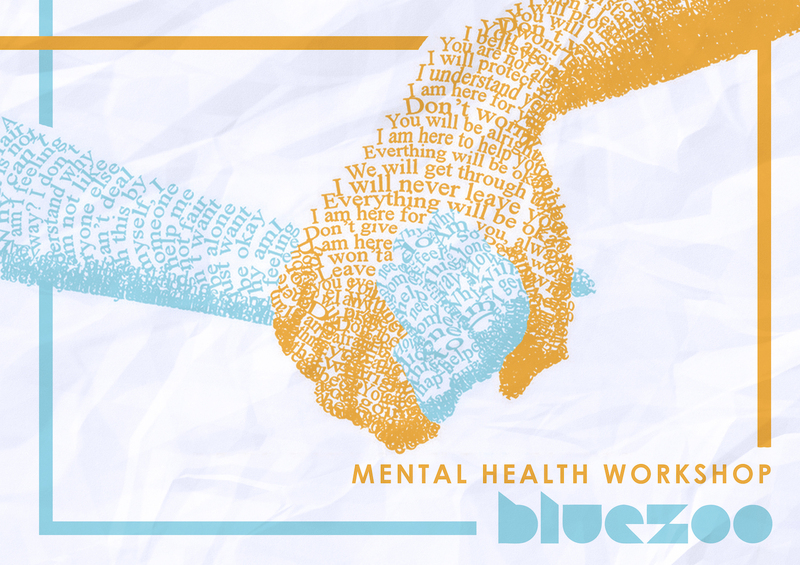 There is evidence to suggest that anxiety and depression are more prevalent in the creative industries, and a particularly touching moment in the talk were comics that an animator had created to illustrate their own experiences with depression. One attendee remarked that the talk was “eye-opening”. 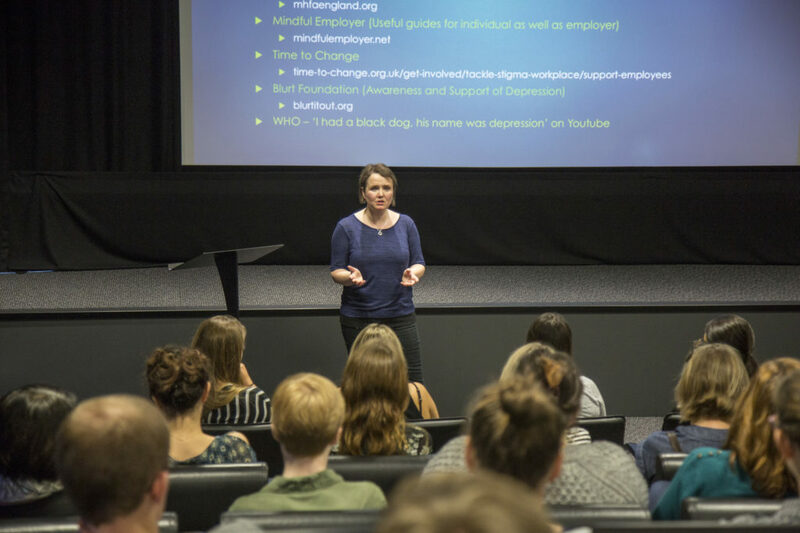 Another topic covered was mental health first aid, and Isobel hopes that eventually every company will recognise how it is as important to have someone trained in mental first aid as it is in the traditional kind. Her thought provoking talk was very well received, with one audience member commenting how lucky her team was to have her as a manager! Meet the Parents | How to keep doing what you love and spend time with those you love. In a fully booked talk, Louise Hussey, VFX Chair of AWUK and Executive VFX Producer at Double Negative TV, hosted a panel of industry parents (Pete Levy – VFX Producer, Double Negative TV; Nicky Bentham – Film Producer and founder, Raising Films; Tory Wire, HR Director, The Mill; Una Mazaroti – Animator and Editor; Rebecca Barbour, Talent Manager, ILM) and led discussion on the difficulties of balancing family and career in the film and VFX industries and the methods they and their companies use to make life easier for parents. Honest and frank contributions from men and women, both on the panel and in the audience, revealed that there is definitely no simple ‘one size fits all’ approach that would make for a work/life utopia, but lots of people are making it work. For inspirational stories from other parents in the film industry head to Raising Films.